Banner is a global leader in process and industrial automation, helping customers increase efficiency, reduce costs, ensure quality, monitor and control processes, and safeguard employees. 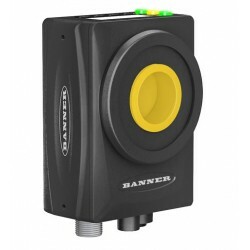 Banner provides industry-leading photo eyes, sensors, vision sensors, wireless sensors, machine safety, e-stop devices, vision lighting, and a wide assortment of indicator lights, tower lights, stack lights, and pick to lights. Banner IVU2PRB604 Bar Code Reader offers advanced bar code reading capabili.. Banner IVU2PRBR12 Bar Code Reader offers advanced bar code reading capabili.. Banner IVU2PRGI08 iVu PLUS TG Gen2 Remote Sensor with Ethernet it brings th.. Banner IVU2PRGR12 iVu PLUS TG Gen2 Remote Sensor with Ethernet brings the s.. 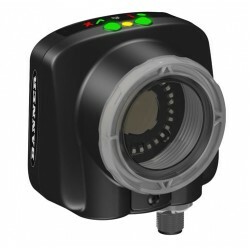 Banner IVU2PRGR25 iVu PLUS TG Gen2 Remote Sensor with Ethernet brings the s.. Banner IVU2PTBR12 Bar Code Reader offers advanced bar code reading capabili.. Banner Engineering Area Lights create shadows to detect changes in depth, i.. Banner LEDBA70XD5-XQ Rectangular Area Light create shadows to detect change.. Banner LEDBLB1160XW6-XQ Vision Light-Linear Back Light 1160mm provide maint.. Banner LEDBLB145XW6-XQ Vision Light-Linear Back Light 145mm provide mainten.. Banner LEDBLB290XW6-XQ Vision Light-Linear Back Light 145mm provide mainten.. Banner LEDBLB435XW6-XQ Vision Light-Linear Back Light 435mm provide mainten.. Banner LEDBLB580XW6-XQ Vision Light-Linear Back Light 580mm provide mainten.. Banner LEDBLB870XW6-XQ Vision Light-Linear Back Light 870mm provide mainten.. 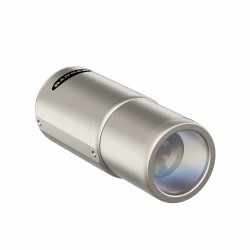 Banner LEDBO100M On-Axis Lights evenly illuminate flat reflective surfaces .. 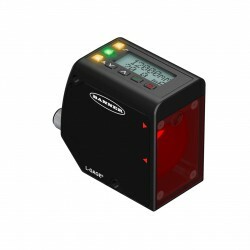 Banner LEDBO100M-D On-Axis Lights with Dust Cover evenly illuminate flat re.. 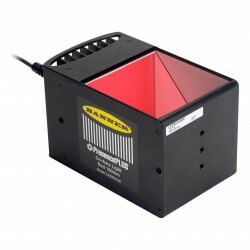 Banner LEDBO50M On-Axis Lights evenly illuminate flat reflective surfaces a.. Banner LEDIA70XD5-XM Rectangular Area Light create shadows to detect change.. Banner LEDIA70XD5-XQ Rectangular Area Light Rectangular Area Light create s.. 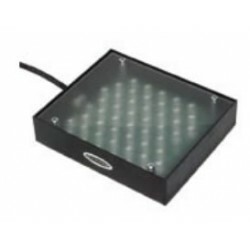 Banner LEDIA80X80W PresencePLUS Infrared LED Area Light is a Low-cost, comp.. Banner LEDII150-3M Low-Angle Ring Lights 150 mm enhances the contrast of su.. Banner LEDII150-3W Low-Angle Ring Lights 150 mm enhances the contrast of su.. 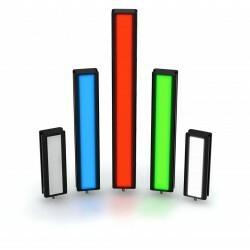 Banner LEDRA70XD5-XM Rectangular Area Light create shadows to detect change.. Banner LEDRI150-3M Low-Angle Ring Lights 150 mm enhances the contrast of su.. Banner LEDRI150-3W Low-Angle Ring Lights 150 mm enhances the contrast of su.. 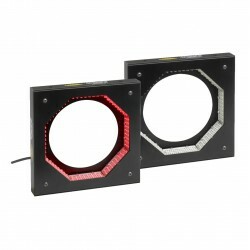 Banner LEDWA70XD5-XM Rectangular Area Light create shadows to detect change.. Banner LEDWA70XD5-XQ Rectangular Area Light create shadows to detect change.. Banner LLG660P10A60II Laser Line Generator generates a high quality, unifor.. Banner LLG660P50A60III Laser Line Generator generates a high quality, unifo.. 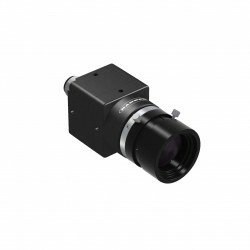 Banner LTF12IC2LD LTF Laser Measurement Sensor it's best in class combinati.. 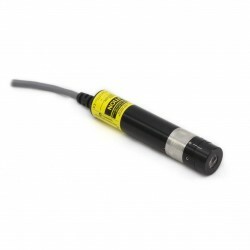 Banner LTF12IC2LD W/30 LTF Laser Measurement Sensor it's best in class comb.. Banner LTF12IC2LDQ LTF Laser Measurement Sensor it's best in class combinat.. Banner LTF12UC2LDQ LTF Laser Measurement Sensor it's best in class combinat..
PresencePLUS P4 Omni P4O1.3R Uses Bar Code tool to read and grade bar codes.. Banner P4O1.3RS PresencePLUS P4 Sealed Omni Right Angle Uses Bar Code tool .. Banner PPROCAM1.3S PresencePLUS Pro IP68 Camera C-Mount Primary Housing Mat.. Banner PPROCAM1.3SS PresencePLUS Pro IP68 Stainless Steel Camera.Requires c.. Banner PPROCAMCS PresencePLUS Pro IP68 Color Camera Nickel-Plated Aluminum .. 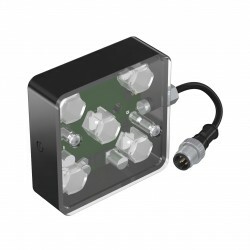 Compact DIN-mountable controller with all the PresencePLUS Gray Scale Tools.. Banner PPROCTL-BC PresencePLUS ProII Controller Compact DIN-mountable contr.. 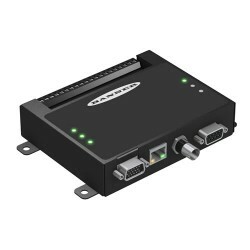 Banner PPROCTL-BCBD PresencePLUS ProII Controller Compact DIN-mountable con.. 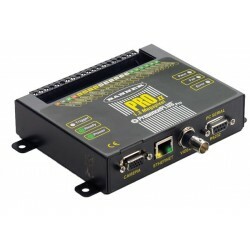 Banner PPROCTL1.3 PresencePLUS Pro 1.3 Controller Compact DIN-mountable con.. Banner PPROCTL1.3-BC PresencePLUS Pro 1.3 w/BCR Controller Compact DIN-moun.. Banner PPROCTL1.3-BCBDOC PresencePLUS Pro 1.3 Controller w/BCR-BD&OCR-O.. Banner PPROCTL1.3-BCOC PresencePLUS Pro 1.3 Controller w/BCR & OCR-OCV .. 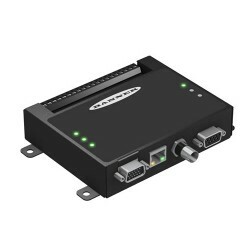 Banner PPROCTL1.3-BD PresencePLUS Pro 1.3 Controller Compact DIN-mountable .. Banner PPROCTL1.3-OC PresencePLUS Pro 1.3 Controller w/OCR-OCV Compact DIN-.. Compact DIN-mountable controller with Color Match Tool and optional Bar Cod..
One part of a two piece system with a complete suite of location, inspectio.. Banner PPROCTLC-BCOC PresencePLUS ProII Color Controller w/BCR & OCR-OC.. Banner PPROCTLC-BCOC PresencePLUS ProII Color Controller w/OCR-OCV One part.. 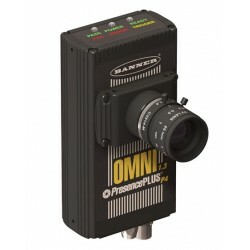 Banner PPROMCAMQ MINI PRES+ PRO II CAMERA W/M12 CONNDevice Type VisionPrima.. 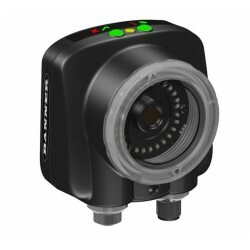 Banner VE Series VE202G1A Smart Camera is a cost-effective, easy-to-use and.. 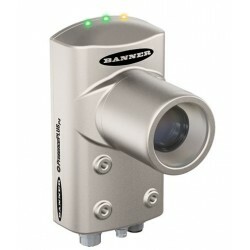 Banner VE Series VE202G2A Smart Camera is a cost-effective, easy-to-use and..